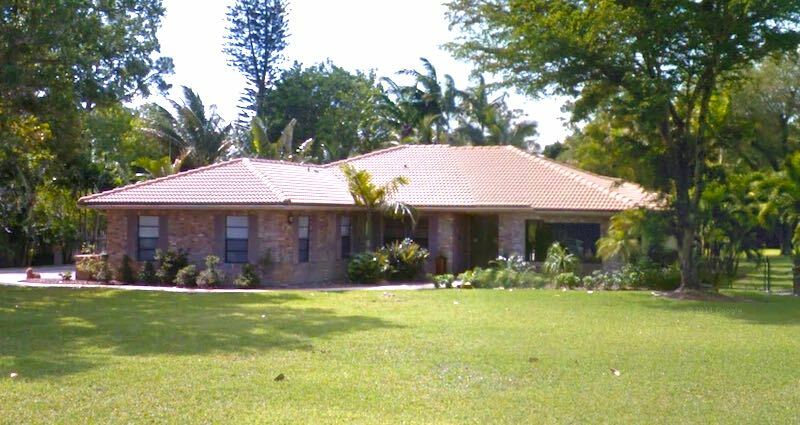 22585 Lemon Tree Lane in Tamarron; image by Google. Loggers’ Run had 47 homes sold in the first half of 2018. 37 of the sales were single family homes, along with higher prices for the 10 townhomes and villas in Timberwalk. There were only two transactions in the Winding Lakes subdivisions so far this year. 21503 Sweetwater Lane S in Winding Lakes III sold for $665,000, the highest in Loggers’ Run. The 5-bedroom, 3-bath house had extensive renovations and a nearly one-acre lot. The selling price was well below its original list price of $799,000. In Winding Lakes I (south of Palmetto Park Road), 22396 Waterside Drive sold for $585,000 with 4 bedrooms, 2 1/2 baths, a 0.6 acre lot and a very impressive kitchen, all in 2900 square feet. Also south of Palmetto, 22585 Lemon Tree Lane (picture at top of article) sold for $547,250 with 4 bedrooms and 2 baths in just 2500 square feet. This is another large lot at 1.2 acres. North of Glades Road, three homes sold in Island Lakes including 11874 Island Lakes Lane at $580,000. This is a rare two-story home in Island Lakes with 5 bedrooms and 3 1/2 baths in nearly 3100 square feet. The house sold in just 7 days. With higher list price and patience the sale price could have topped $600,000. The other two sales in Island Lakes were the popular 2440 square foot model with 11560 Island Lakes Lane selling at $500,000 in just 5 days and 11720 Island Lakes Lane at $450,000 after 3 months on the market. The lower priced home had a more dated interior, though an arguably better location. Indian Head was very active with eight sales already, compared to eight sales for all of 2017. 21044 Shady Vista Lane was the only home in 2018 so far that sold for over $400,000 at $440,000. That house has 4 bedrooms and 2 baths in 2100 square feet. Thanks to fresh renovations it sold in just 5 days. Two homes on Shady Vista sold for $390,000 each, at 21077 Shady Vista Lane and 20972 Shady Vista Lane. Selling for $380,000 was 20858 Sugarloaf Lane, and two more sold for $370,000 – 21269 Purple Sage Lane and 20847 Sugarloaf Lane. These are all 3 and 4 bedroom homes between 1900 and 2500 square feet, and all sold in less than two months. The low end in Indian Head was 21230 Raindance Lane at $335,000 with 3 bedrooms and 2 baths in 2000 square feet. It’s not clear from the listing why it sold for so much less, but it sat on the market for nearly 5 months. The nearly 3900 square foot house at 11605 Kensington Court sold for $642,500 after 10 months on the market. Smaller but all on one floor, 11597 Kensington Court sold for $611,000 in less than three weeks. 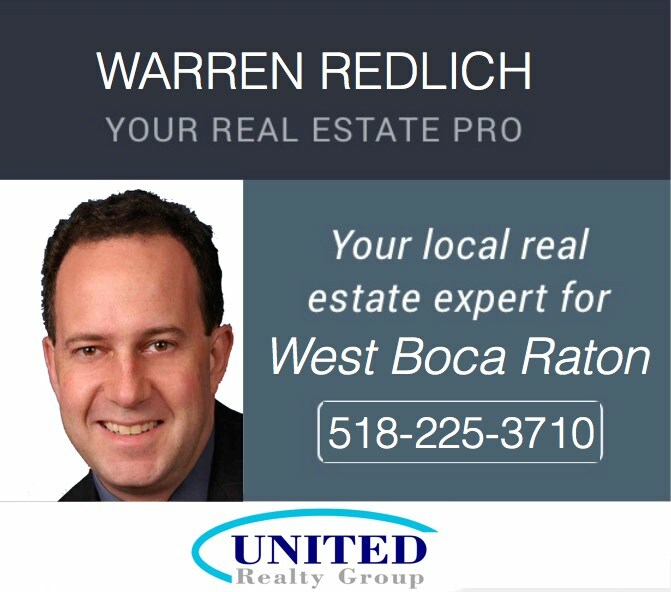 Call or text Warren at 518-225-3710, or e-mail warren@westbocanews.com for help buying or selling homes in West Boca. As usual the Country Landing subdivisions were the busiest with 17 transactions so far in 2018. Prices varied more with a low of $295,000 for the small 1400 square foot house at 11418 Country Sound Court in Country Landing I, and three houses going for over $450,000. 11944 and 11956 Sunchase Court in Country Landing 4; image by Google. 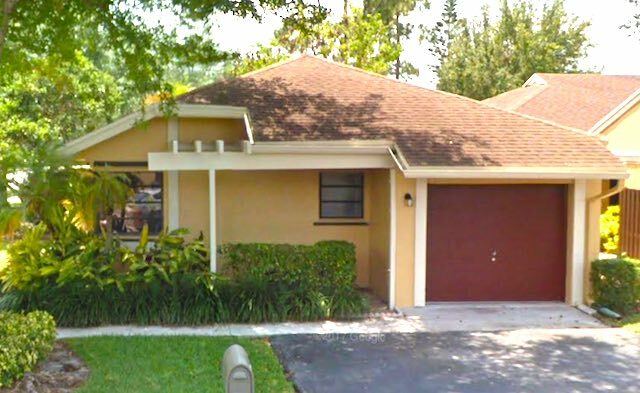 In Country Landing 4, north of Glades Road, 11956 Sunchase Court sold for $465,000 with 4 bedrooms and 2 baths in 2000 square feet, and it went in just 3 days. Next door the same model at 11944 Sunchase Court got $455,000, also selling quickly. Two more of the same model sold in Country Landing 3 over $400K with 21100 Woodspring Avenue at $457,400, in just 11 days, and next door 21090 Woodspring Avenue at $415,000 in only 5 days. And three more sold under $400K. A bank-owned foreclosure sold for only $330,000, while the other two went for $365K and $395K. Country Landing I had 3 sales including the $295K low price, and two 1900 square foot 4-bedrooms at $380K and $350K. There were six sales in Country Landing II, most in the mid-300 price range. 11668 Quiet Waters Lane managed to get $394,000 with only 1640 square feet. Listed as needing TLC, 21303 Summertrace Circle only got $315,000 out of its 1750 square feet. Cimarron continues to sell well with a high price of $420,000 for the 1900 square foot 3 bedroom at 21636 Little Bear Lane. The low there was 11480 Chipmunk Drive with 2600 square feet, the price possibly affected by its corner location facing busy Ponderosa Drive. 22529 Vistawood Way sold for $275,500 with extensive remodeling inside; image by Google. Prices are up 7.5% in Timberwalk to an average of nearly $250,000. Of the 10 transactions this year so far, only two were below the 2017 average of $232,000, and only slightly below at $225K and $226K. Six of the transactions in the first six months of 2018 were at $250,000 or above, compared to four for all of 2017. The high price remains at or near $275,000, with 22529 Vistawood Way selling for just above that with 3 bedrooms and 2 baths in 1400 square feet. 11351 Timberlodge in Loggers’ Run sold for $1.1 million; image by Google. Loggers’ Run is a large community in West Boca. There are several subdivisions including the Timberwalk townhomes and single family homes in Cimarron, Country Landing, Indianhead, Crystal Cove Estates, Island Lakes, Winding Lakes, Tamarron and Ponderosa. Timberwalk in particular has seen substantial gains in home values over the past few years – see bottom of the article. Loggers’ Run map with its neighboring communities. Image and map data by Google with development names added by West Boca News. The average price per square foot across the single family subdivisions was $187 for all of Loggers’ Run. Island Lakes had the lowest prices on a per square foot basis, coming in just below $180/sq.ft. Indianhead and Crystal Cove Estates were $185/sq.ft. and the others were all about $190/sq.ft. The houses typically sell in two months or less. The highest overall price for 2017 was an outlier at 11351 Timberlodge Terrace in the Ponderosa subdivision. The 7200 square foot home sold near the corner of Winikoff and Palmetto for $1.1 million. Two smaller Ponderosa homes sold for $600,000 (3000 square feet) and $680,000 (3300 square feet). Eight homes sold in the Winding Lakes subdivisions. One 2900 square foot model sold for $500,000. The rest sold for prices of $615K or higher. The highest price and most per square foot was 21387 Sweetwater Lane, a 3450 square foot house with four bedrooms and three baths that sold for $760,000. Crystal Cove Estates is a small gated subdivision just north of Loggers’ Run Plaza. Three homes sold in 2017. A smaller 3000 square foot house sold for $595,000, while two 3500 square foot houses sold for $615,000 (11541 Kensington Court) and $659,000 (11637 Kensington). All three have five bedrooms and were built in 2000. Map of subdivision in Loggers’ Run north of Palmetto Park Road. Image and map data by Google with subdivisions added by West Boca News. Island Lakes is a gated loop of one-floor houses on the north side of Glades Road, with the park to its north. There were seven homes sold in Island Lakes in 2017. Prices ranged from $392K for the 2400 square foot home at 11650 Island Lakes Lane to $542,500 for the 2950 square footer at 11283 Island Lakes Lane. The average price for Island Lakes was $463,500. Island Lakes homes took the longest to sell in Loggers’ Run with most selling in one to three months. 21215 Raindance Lane; image by Google. Eight homes sold in the Indianhead subdivision with prices ranging from $332K to $430K. The most typical transaction was 21215 Raindance Lane, a 2000-square-foot 4-bedroom that sold for $373,000. The Cimmaron subdivisions had 11 transactions in 2017. The low price was an REO (bank-owned, typically after foreclosure) 3 bedroom with less than 2000 square feet that sold for $325,000. A similar non-REO model sold for $341,500. Two homes sold for $410,000. One was a 2600 square foot 2-floor house with 3 bedrooms and 2 1/2 baths. The other was a 2100 square foot 1-floor with 3 bedrooms and 2 baths. The average price for Cimarron was $378,500. Twenty homes sold in the Country Landing subdivisions, most in the $300K range. Two smaller houses (1600 – 1700 square feet) sold for $290K. The top two prices were on Woodspring Avenue at $395K and $385K, both somewhat larger between 2000 and 2200 square feet. The average in the Country Landing group was $337,000. Country Landing homes also seem to sell quicker, averaging less than a month. Loggers’ Run subdivisions south of Palmetto Park Road. Image and map data by Google, subdivisions added by West Boca News. Timberwalk is a community of townhomes just south of Loggers’ Run Middle School between Ponderosa and Judge Winikoff. It’s a very convenient location with a back gate into the school and a short walk to Publix and the Loggers’ Run shopping plaza. Twenty-one of the Timberwalk townhouses sold in 2017 and prices averaged $232,000. Only one sold for less than $200,000 and just barely so at $198K. Four homes sold for $250K or more, with the top going to 22499 Vistawood Way at $275K. Just a few years ago in 2014 most of the Timberwalk sales were for less than $200K with the bottom close to $100K and nothing over $240K. In 2013 the highest price was $190K. They’re also moving quickly, with most selling in less than a month and about half in 10 days or less. On a per square foot basis the average was $176/sq.ft. with some smaller 1200 square foot 3-bedrooms going for over $200/sq.ft. 22070 Woodset Way sold for $610K, the highest price in the non-gated sections of Loggers’ Run. Built in 1982, the house has five bedrooms and four baths in 3800 square feet. HOA fees are less than $100/month. Home prices have been going up for the past three years in Loggers’ Run. The numbers show similar increases across the board. We looked at single family homes larger and smaller than 2000 square feet, and also at townhouses and villas (in Timberwalk). For the larger single family homes (excluding foreclosures and short sales), the average price rose to $473K at $178/sq.ft. That’s up from $453K ($171/sq.ft.) in 2015, and $442K in 2014 ($163/sq.ft. ), or a 7-9% increase compared to two years earlier. The highest price in 2016 was $745,000 for 22315 Solitude Drive in the Winding Lakes I subdivision off Judge Winikoff south of Publix. The 5 bedroom 3 1/2 bath house has 4200 square feet inside and a cul de sac location with water views. In 2016 there were 36 transactions in the over 2000 square foot category for as low as $335,000. Several larger homes sold for over $600K. Listings take an average of just over two months to sell. Smaller single family homes prices also increased. The average rose to $328K in 2016 ($192/sq.ft.) up from $313K in 2015 ($177/sq.ft.) and $311K in 2014 ($175/sq.ft.). That’s a 4% increase in prices and 7% in dollars per square foot from 2015, though 2015 was not up significantly from 2014. Five homes sold for $300K or less, while three homes sold at $375K, the highest for this group. Homes in this group sell a little quicker than the larger ones, averaging over a month. We also looked at townhomes and villas in Timberwalk, south of Palmetto Park Road and Logger’s Run Middle School. They range from 1200 to 1600 square feet. The average price rose to $217K, up from $210K in 2015 and $192K in 2014 – up 13% in 2 years. Measured in dollars per square foot they rose from $142/sq.ft. in 2014 up to $166/sq.ft. in 2016 – a 17% increase. The high end hasn’t changed that much in Timberwalk, with the top at or near $250K all three years. It’s the bottom that has changed. In 2014 most homes in the subdivision sold for $200K or less, and as low as $140K. In 2016 only 6 out of 33 homes sold for less than $200K and the lowest was $180K. Average “days on market” was similar to the under 2000 sq.ft. houses at just over a month. We exclude “REO” and short sale transactions from our analysis because those prices aren’t as meaningful to most of our readers. We did look at the numbers including those and it did not make a big difference.